REISTERSTOWN, MD--(Marketwired - Jul 17, 2015) - Since the launch of its newsletter, full-service accounting firm, Financial Union, Inc. has given valuable advice and guidance to business owners, executives, and independent professionals, complementing its tax and accounting services as well as personal and corporate insurance services. In the company's latest blog post, the Reisterstown-based group of certified public accountants provides new entrepreneurs with five valuables tips for starting a new venture. 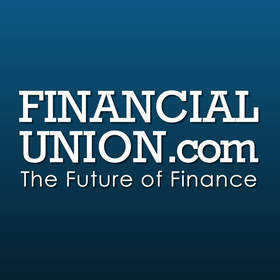 The first tip FinancialUnion.com offers is making a decision on whether to set up a conventional business or a home-based enterprise. According to their newsletter, 52% of businesses today are home-based, since it has become much easier to turn a spare room, or even a garage, basement or attic into a corporate headquarters thanks to the help of modern technology (source: http://accounting.financialunion.com/newsletter.php). Nevertheless, home-based entrepreneurs need exemplary self-motivation and discipline to work independently and adhere to a professional schedule, a Financial Union, Inc. expert points out. After making a choice, new businesspeople are advised to ensure their compliance with laws and regulations, for instance cities' zoning regulations, which are necessary to avoid hefty fines or being shut down. Financial Union is ready to help handle topics such as accounting requirements, tax planning, compliance, and preparation, which enables new companies to focus on the core aspects of their business rather than getting tangled up in red tape. Item 3 of the newsletter focuses on expenses and ways to set up and organize finances for a new business. Entrepreneurs are instructed to estimate start-up costs, project operating expenses, estimate income, and determine cash flow, and predict expenses and income on a weekly and monthly basis to maintain a healthy cash flow. As for tip 4, Financial Union experts recommend integrating the latest software to guarantee access to their business around the clock. Innovative apps can be integrated with QuickBooks company files to make sales anywhere, document expenses whenever they occur, and track employee time for payroll purposes. New entrepreneurs should also look out for software that streamlines different processes across their company, such as a CRM to handle customer relationships and ensure employee satisfaction. Finally, in tip 5, FinancialUnion.com flaunts its expertise in tax matters, explains how travel and entertainment costs can be deducted from overall taxes, and teaches a valuable lesson with regards to record-keeping and substantiation requirements. Financial Union, Inc. is a dedicated financial management firm that simplifies personal and commercial services, and eliminates the hassle of dealing with different vendors while giving clients peace of mind through quick and easy access to a variety of services. To ensure clients with value for money, the company operates on three principles: professionalism, responsiveness, and quality. Through its website, clients and online visitors are granted access to a wide range of resources, including financial calculators, internet links, book recommendations, and numerous guides on life events, business strategies, and other personal and business-related matters. FinancialUnion.com offers QuickBooks setup and hands-on training, allowing clients to reap the benefits of the top business accounting software worldwide.